Simple delivery van rentals, we have leasing packages for both short term and long term rentals at great prices! Using our very own fleet of delivery vans, we can help you with your delivery operations. Provide us more information to get a quote! 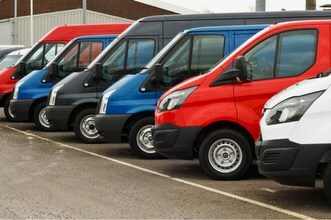 Looking for delivery van rental services for short term or long term purposes? Rentalorry can provide just the service you need when a simple car cannot perform the job. Searching for the right company can sometimes be challenging with all the options out there, for example the range of services and types of rental packages. At Rentalorry, we try to make it simpler by offering the widest range of services and commercial vehicles under one roof so that customers get to select what they want. Purchasing and operating a network of cargo vans can be expensive and challenging. Do not let this distract you from your core business processes. From home deliveries to office deliveries, our professional services and experienced crew will be able to provide the logistic support your require. We offer a wide range of services for clients to select from because we understand the needs of our customers may vary. In addition, these highly customizable and flexible packages allow our clients to pay for only what they require and nothing else, thus saving them costs on their transportation expenses. The rates of the one way cargo deliveries to monthly hires differ due to the packages so if you wish to find our more, you can contact us through our friendly customer service staff and they would be glad to assist you. Because of the large scale of our operations, we are able to provide our cheap van rental services at a lower cost to customers. In addition, unlike other companies, we do not throw in unnecessary charges and penalties at the end of your rental which will actually make your transportation cost balloon up more than expected. With our very own maintenance crew and service staff, we keep at tight watch on the schedules of our delivery vans to ensure that they undergo their regularly servicing and maintenance routines. This also ensure that the vehicles are reliable and trustworthy once they are sent out o assist our customers with their delivery needs. For the van rental with driver services, we carefully screen our drivers to ensure that they are safe on the roads. In addition, most of our drivers have years of experience driving delivery vans and they know the Singapore roads well. Depending on what you require, we also have a variety of services for our clients to select from. If you are unsure which delivery van service is suitable for you, just speak to our customer service staff and we can advice you on the most cost effective rental services. An important point to note is also the size of the cargo that you wish to transport, as the rates vary for the different delivery vans, approach our customer service stuff and let them know what you wish to deliver. Only then can we decide whether a full size van is necessary or just a box van will do. With this information, our staff will then be able to provide a more accurate quotation. Because Rentalorry has a large network of vehicles, even if our delivery vans do not have the capacity to transport your load, we also have a range of delivery trucks and lorries that are ready to assist you.